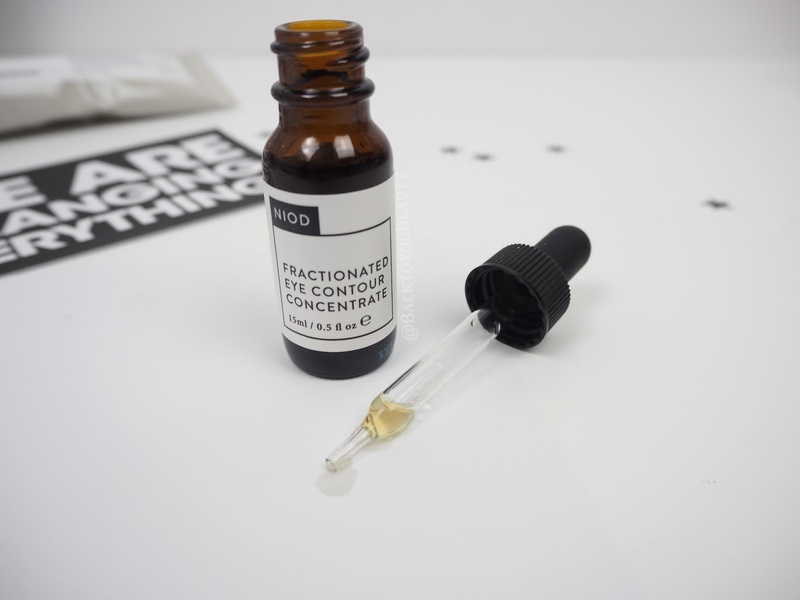 NIOD really is the buzz range in innovative skincare technology at the moment. A brand that I first discovered in January 2016 that has just blown me away with its incredible journey. 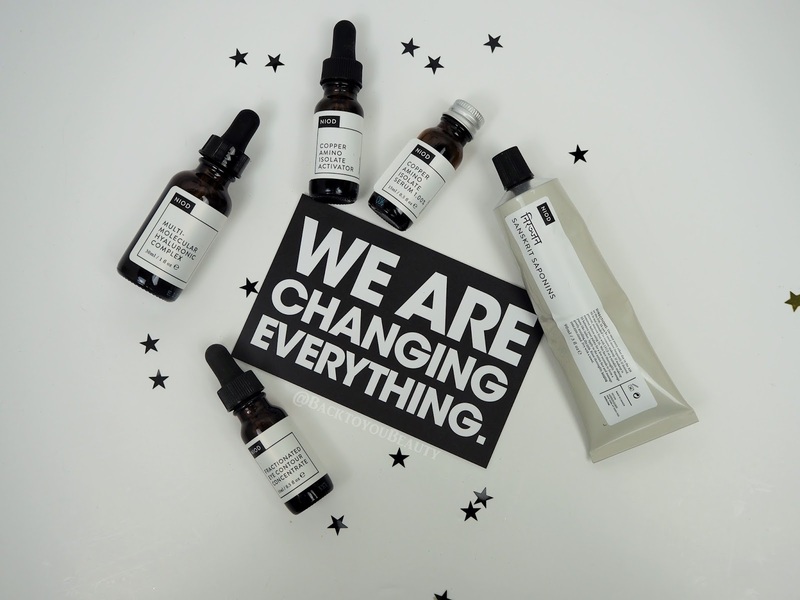 An award winning brand which is not even two years old yet, NIOD – which stands for stands for Non Invasive Options in Dermal Science – is changing the way we treat our skin. Created by their own in house team and full time bio-chemists, they create these open ended formulations which are always being updated as new technologies and ingredient’s become available. This means that we, the customer, always receive the most up to date version of a product. Today I am sharing a collection of products from the range with you that really address a host of skincare issues that we all could suffer from. 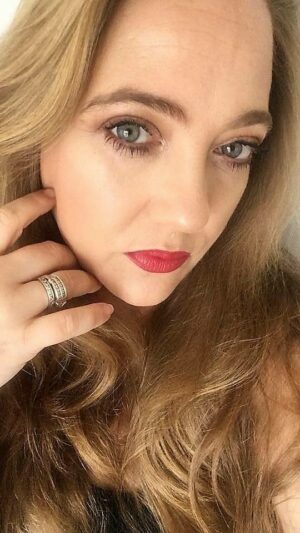 Whether that be skin ageing, fine lines and wrinkles, pigmentation, dark circles, blemishes, impurities, dullness etc etc these products aim to help with all those concerns. ‘SS’ is a really high performing cleansing balm for the face with no sulphates, purified ingredient’s, oils or even Miceller technologies and contains high concentrations of Ayurvedic plant Saponins (actives). These are unrefined and messy but have a near perfect equilibrium between deep cleaning and respecting the skin. Sound complicated? It really isn’t, it just dates back to age old, trusted principles of deep cleaning the skin before modern day technology arrived. However, this is not a make up remover so you would need to do that first and the NIOD Low Viscosity Cleaning Ester ( if you want to stay with the same brand) is incredible at melting away make up. 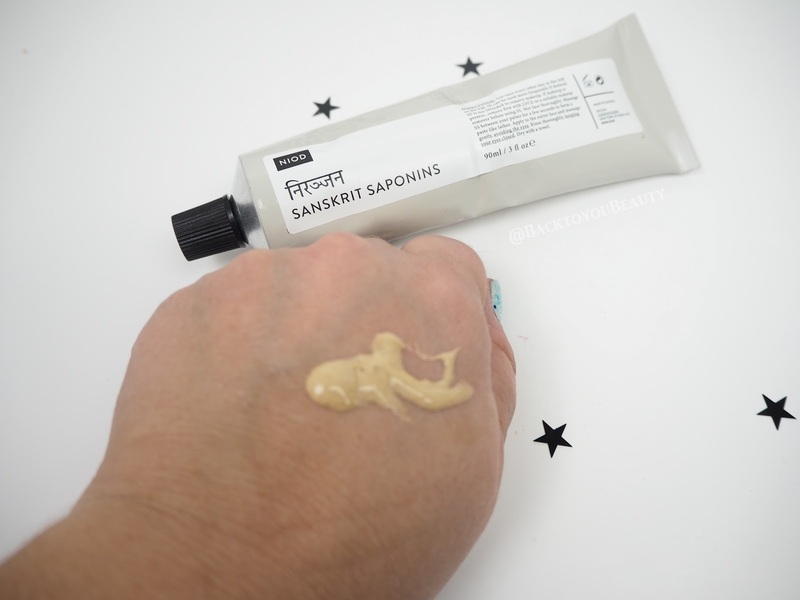 Sanskrit Saponins deep cleans the pores on another level, this is about cleansing the skin after all signs of make up have been removed and basically sucking everything out of the skin, the pores, and taking away the dead cells, the nasty’s. Although perfectly PH balanced this may be sensitive to the eyes so personally I wouldn’t use it on them. NIOD recommend using this product every other day in either the morning or evening as it is such a deep cleanse. Begin by removing all traces of make up, then dry the face, wet the hands and apply a small amount of Sanskrit Saponins into the palms and gently massage together until you get a mild lather and froth consistency. Apply to dry skin, leave on for 5 minutes and rinse off. You may immediately feel a sense of your skin being really dry ( I also get a slight tingle) but it doesn’t last long at all. 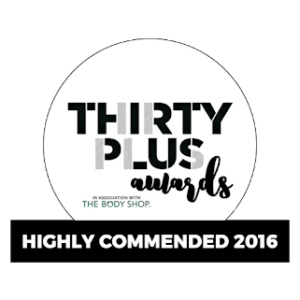 Perfect for all skin types including anyone suffering with blemishes, breakouts and impurities. Skin looks incredibly clean and bright after use. This innovative Serum was created to encourage skin health. It works by keeping our skin in an ongoing, heightened state of repair and therefore makes our skin act younger from deep down and then coming up to the surface. A great anti-ageing serum if you have concerns with wrinkles, lines, dehydration and dull skin. The reason I am thrilled to be using this is it helps decrease the look of open pores and corrects pigmentation, both of which I have issues with. 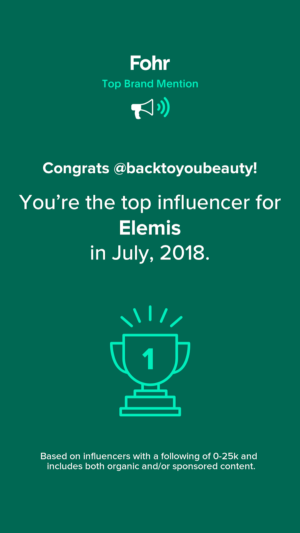 You can expect to see results within a week and as I first started using these products in January 2016, I can vouch for the fact that they have made a difference on my dehydrated skin. Please do not be put off/worried/scared by the names of any of these products. 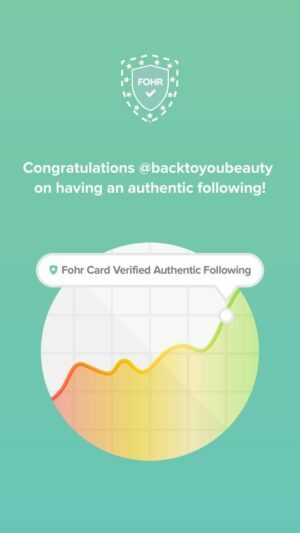 As I have mentioned previously NIOD is such an innovative brand that is updating technologies within its skincare all the time. They ensure we always get the best ingredient’s possible for our skin and they tell it like it is, in its purist form. The Copper Amino Isolate Serum replaces your usual serum. In the box you will find two bottles, one is full – Copper Amino Isolate Activator – and one looks almost empty – Copper Amino Isolate serum. When you are ready to begin using this serum mix the two together by pouring the Activator into the serum. Put the lid on and give it a really good shake for about 30 seconds. You will notice that it has turned a bright blue colour which is perfectly normal. Now this serum has now been activated and is fresh you will have 6 months to use it. You do not need to keep it in the fridge but I would suggest keeping it away from direct sunlight. It has a lower viscosity than water, so, as with the Cleaning Ester, it is very fluid. Using the dropper I put three drops on my face (dry skin) and pat it in and around, taking it onto the neck if need be. That’s it, simple. Once mixed you are good to use daily, or twice daily if needed. This can be slotted into any skincare regime you have going in place of your regular serum and straight after cleansing. This is a very advanced Serum that contains 12 forms of Hyaluronic acid. We all know about Hyaluronic acid and how amazing it is on our skin. Half of our bodies Hyaluronic Acid is located within the collagen of our skin so it is very important. It helps to retain over 1000 times its weight in water with our cells so adding this onto our skin gives huge benefits. Not only is HA amazing at hydrating, plumping and almost detoxifying the impurities of our skin, but it is a great anti-ageing product. 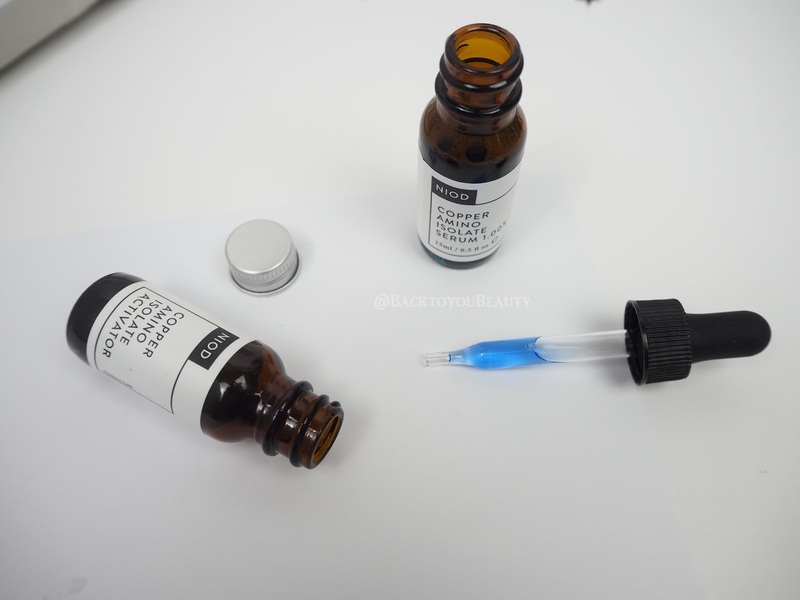 If you are using the full NIOD system you would slot this in after using the above Copper Amino Isolate Serum, if using this alone after another brand then I would use this after cleansing. This can be taken all the way up to the eyes too, which is great for the fine lines around that area. This is thicker than the previous serum and I use about three drops, again onto my hands and then pat it into my skin. Immediately it sinks in which is great as it starts working straight away. This is a simple to use serum for the eye area that contains 28 technologies that helps with concerns under your eye and on the eyelid. Whether that be fine lines, dryness, puffiness, darkness this can help reduce those concerns. 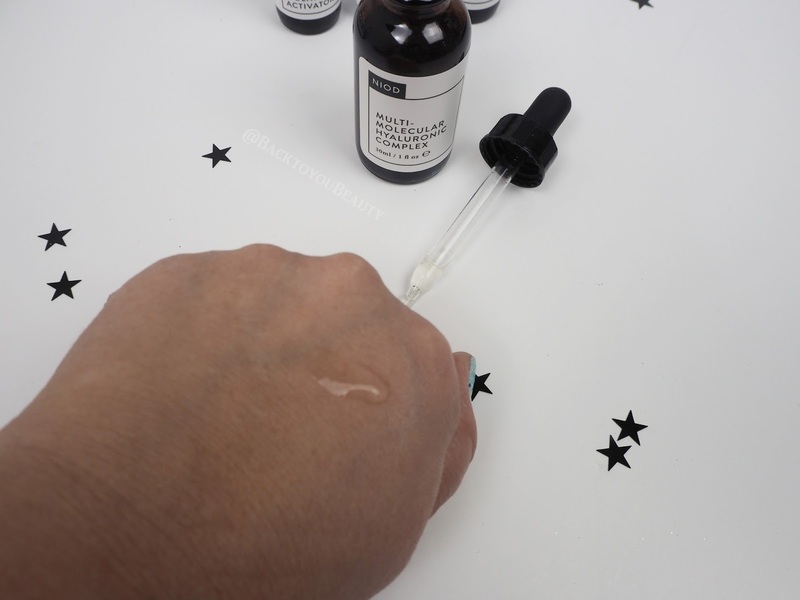 Easy to use I pour a drop or so onto my ringer finger and tap the cool serum around my under eye area and over my eyelids twice a day. Now, I know this may all sound complicated and the bottles look clinical, but really it is your cleanser, serum and eye product – job done. I love the modern look of the bottles that make it look as thought we are using something really unique and bespoke to us. These ingredient’s are so fresh and last only six months once opened so when you start the regime, keep going and see how you get on. If you struggle with dry skin, dull skin, blemishes, pigmentation, dullness, lines and wrinkles, this really can be a great range to try. The brand is constantly moving and evolving and updating their products bringing new consistencies, textures and ingredient’s as they become available and that is incredible. This complete collection is available as a Todays Special Value (TSV) for one day only or whilst stocks last on QVCUK on Friday 3rd February 2017. The contents of this collection retail at around £140.00 yet the TSV will be under £50.00 on item number : 230215. If you want to try something completely different from the norm, something currently creating a huge buzz in the beauty world then this could be the collection for you. Have you tried anything from the NIOD range before? If so I would love to know how you got on with it. Please leave me a comment below.